AN ARMY OF PALEOGRAPHERS: Reclaiming a fragmented history. Digital humanities scholars are orchestrating an epic crowdsourcing effort to sort and transcribe handwriting on thousands of documents discarded hundreds of years ago, known as the Cairo Geniza (Penn Today). Known as the Cairo Geniza, the 350,000 fragments of paper and parchment can be anything from the most holy religious manuscripts to the most mundane legal forms, holding endless opportunities to learn about medieval life in the Middle East. Penn Libraries, which holds about 650 of the fragments, is coordinating with universities and other institutions in the public crowdsourced project, Scribes of the Cairo Geniza. 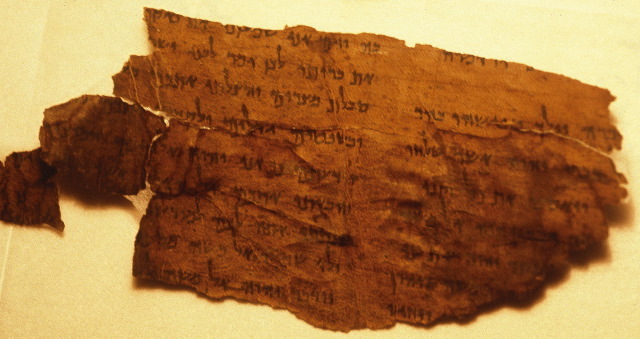 The first phase, launched on August 8, 2017, was designed to sort a first batch of digitized fragments as either Hebrew or Arabic, or in some cases both, as well as to determine whether the scripts were written in an informal or formal style. It included more than 30,000 fragments from the Jewish Theological Seminary through the Princeton Geniza Project and the 650-plus from the Penn Libraries collection. That first phase ended May 19, and the more than 30,000 fragments that were successfully sorted are now the foundation for the second phase. The second phase, which begins later this month, invites the public to participate in deciphering and transcribing the sorted fragments. While there is some skepticism in the academic community about the public contributing to such a scholarly pursuit, Allen and Eckstein say that the work by the public so far has exceeded their expectations. The public has consistently agreed whether texts were Arabic or Hebrew, formal or informal. For past PaleoJudaica posts on the Scribes of the Cairo Geniza Project, see here and links. This is the most detailed report I have seen on it. The combination of crowdsourcing and digitization looks to be very powerful. For many other past posts on the Cairo Geniza, see here, here, here, and here, and follow the links. Past "An Army of" posts are here and links, and here, here, and here. A tiny statue of a biblical king?